Hyunjin KIM (born 1975, South Korea) is a curator and a writer living and working in Seoul. She worked for 7th Gwangju Biennale (2008) as a co-curator and since 2001, Kim has curated exhibitions and projects such as Movement, Contingency and Community, Gallery27 (2007), Ten Years, Please (Jewyo Rhii), Gallery27 (Uiwang, 2007) ; Sadong 30 (Haegue Yang), (Inchon, 2006) ; Plug-In#3-Undeclared Crowd, Vanabbemuseum (Eindhoven, 2006), and worked in a number of institutions, including the Vanabbemuseum (Eindhoven), Gallery27 at the Kaywon Art & Design School (Uiwang-si), Insa Art Space (Seoul), Artsonje Center (Seoul) and Ssamzie Space (Seoul). 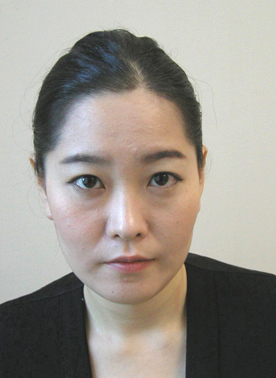 She has written for two publications of Jewyo Rhii, Samuso (Seoul, 2008) / Darun books (Seoul, 2008) ; Haegue Yang, Wien Verlag (Berlin, 2007) ; Dolores Zinny and Juan Maidagan, Sala Rekalde (Bilbao, 2007) including several art magazines in Seoul.